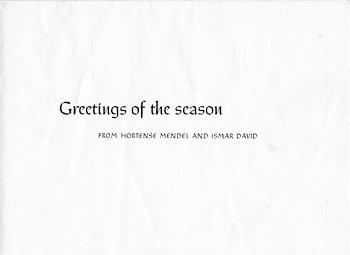 On June 3, 1953, Ismar David married Hortense Mendel. 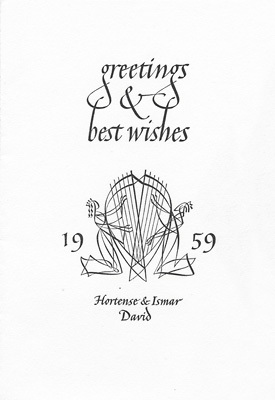 A card from the early years of their marriage. 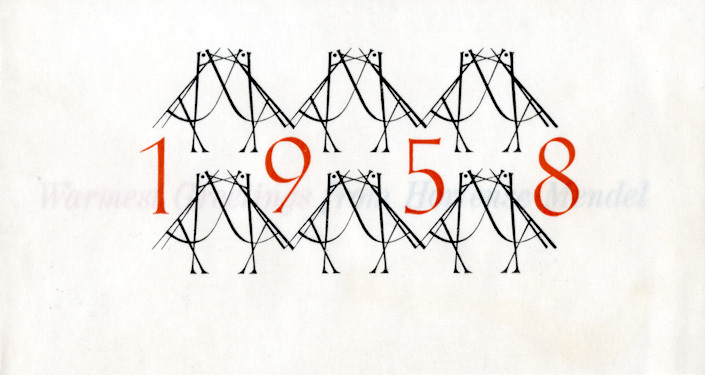 Their holiday card from 1956. 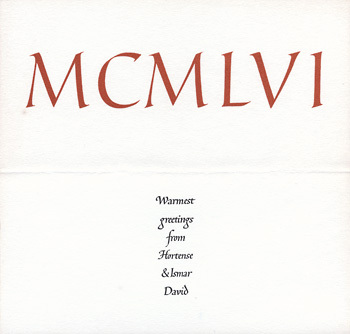 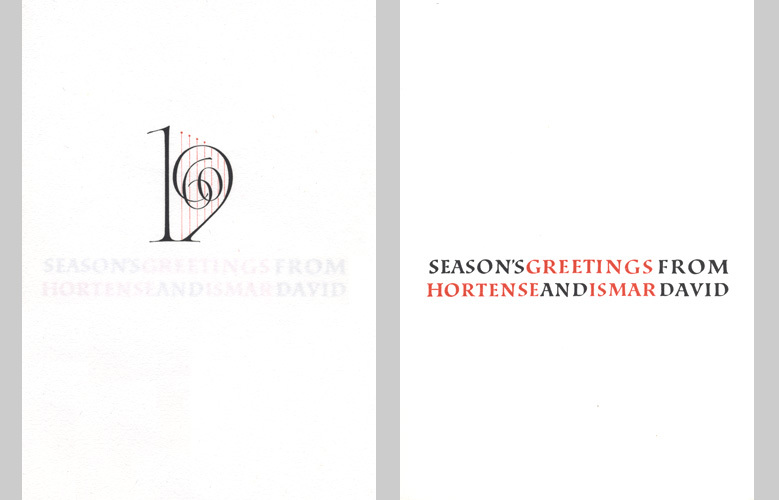 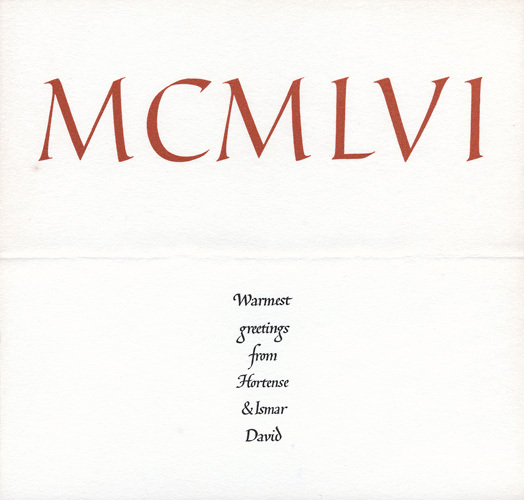 The typeset (in red and black) interior of this card says: Warmest Greetings from Hortense Mendel. 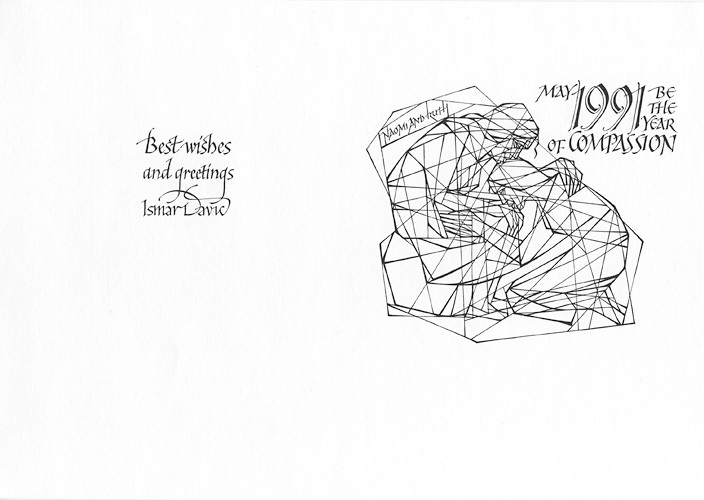 She worked for The Composing Room and probably sent this card out to her business contacts. 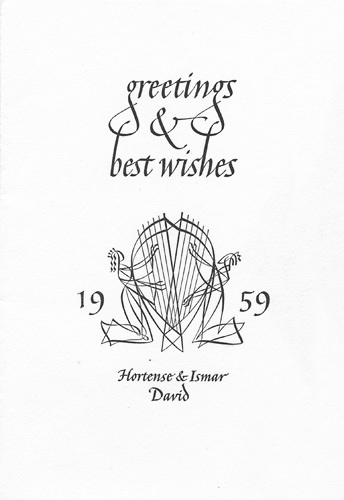 1959 and 1960 cards from Hortense and Ismar David. 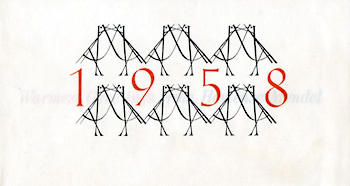 In October of 1960, Hortense died suddenly of a heart attack. 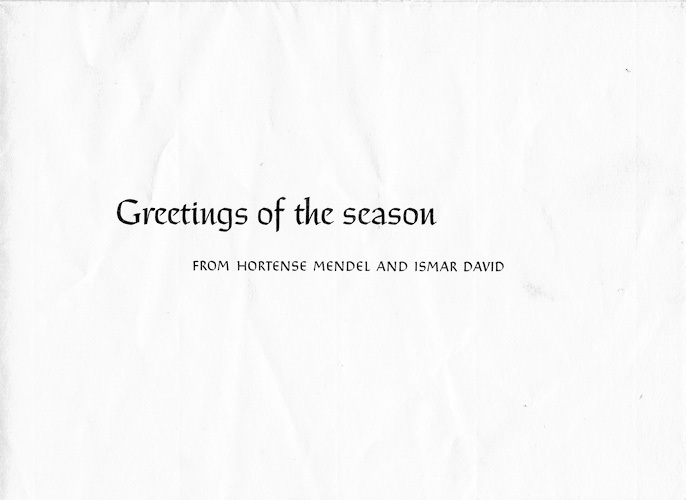 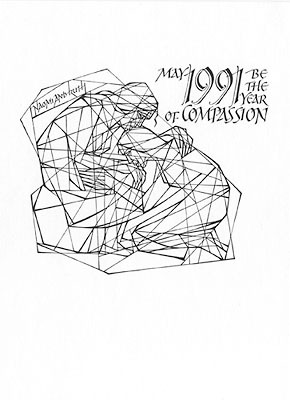 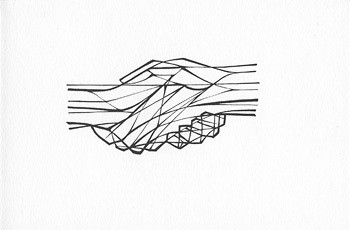 Ismar’s greeting card, a few months later.